George Gerbner clearly and comprehensively outlines the way in which the universal story-telling function of human societies has been colonized by corporate media. Drawing upon the path-breaking research of the Cultural Indicators Project, Gerbner outlines, in a comprehensive and clear fashion, the way in which the universal storytelling function of human societies has been colonized by corporate media in the modern world. Making a distinction between "effect" and his own theory of "cultivation," he explains the role the media environment plays in how we think about ourselves and the way the world works. Through a concrete focus on the stories of gender, class, and race, Gerbner provides us with an analytical framework to understand what is at stake in the debates about the media. George Gerbner (1919-2005) was dean emeritus of the Annenberg School for Communication at the University of Pennsylvania for over thirty years. 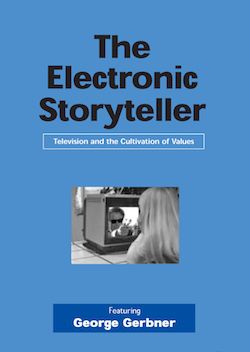 In 1968 Gerbner implemented the Cultural Indicators Project, an ongoing study designed to examine television content and its effect on Americans. "George Gerbner's scholarship is a precious national resource."